I did something unimaginable this weekend. I texted my ex a picture of the contents of my refrigerator, and wrote an amicable message. It contained the acronym “LOL”. 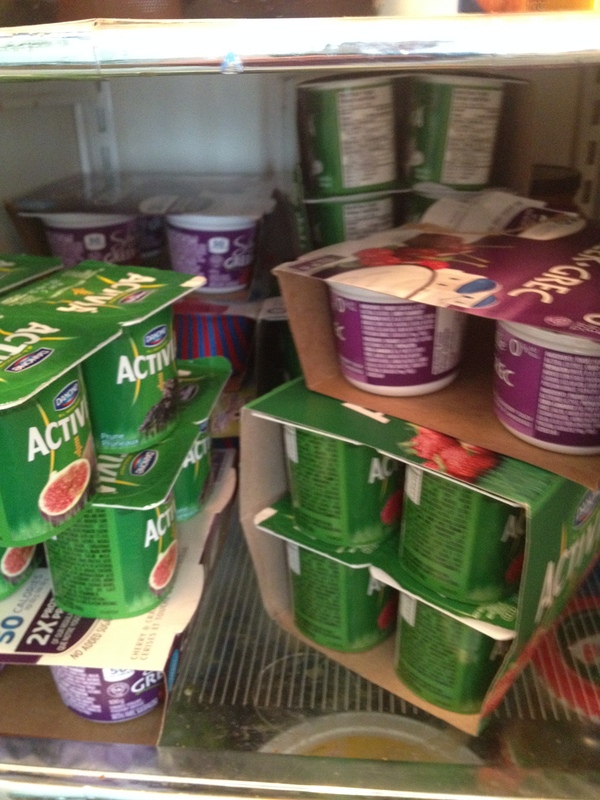 It seems that the Food Bank received a truckload of yoghurt this week. I’m not complaining but that is a heck of a lot of yoghurt. Oh and I won’t be needing any pasta for a while either. I think we’re good there. Maybe Ex thinks I’ve finally and completely lost my marbles. Or maybe he’s glad I’m coming back to myself (for his own well being and stress levels, perhaps.). Maybe he’s baffled. I can’t know. He doesn’t respond to anything that doesn’t require an answer. It’s almost like when we were together, but without the scent of deadly threat wafting through the thigh-deep mire I’m wading through these days. I remember when I first told him I was using the Food Bank to feed the kids. 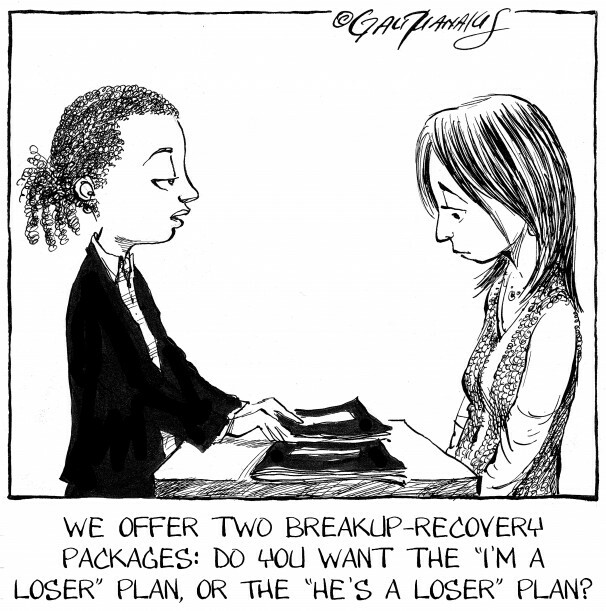 We were in a collaborative divorce meeting – one of the last before we needed to be in separate rooms, with busy little lawyers scuttling back and forth between us, trying to “land the plane” as some of them (one of whom has been fired by me) like to say. I was NOT feeling amicable. I wanted the WORLD to know about it. And I wanted the world to know that it was all his fault. And he, inexplicably, did not seem phased. I wanted to throw an entire plate of nosh at him and strategically spill his coffee. Food fight in the boardroom! So now I’m “throwing” yogurt at him. My latest tactic – passive aggression! Ah. Maybe that’s what he thinks. Who can know? Actually, it’s kind of an olive branch. Sort of. I guess. I’m going to say this quietly. Don’t tell anyone. caused some, some, of the mayhem in my divorce process; possibly even my marriage. There has to be a better plan. I’ll have the Better Plan, please. And since no one has written one, I guess we’ll have to go back to the table and figure one out. Yes. I just said that. Last week, I hired a new lawyer. A collaborative family lawyer. Just what he wanted me to do. Bring it. Let’s do this. And moments after I posted this, Ex emails me to say he doesn’t want to do collaborative divorce anymore. And once again, it’s all about his power. I guess I haven’t learned much yet. There’s no shame in accepting relief to feed a child. Sometimes even givers need to take. I hope you press ahead and make something amazing your kids will be proud of (as much as I’m sure they are already proud of you as a person). Acceptance of blame is never easy. Acceptance of responsibility may be even harder, yet the one comes from without and the other from within. That which we do ourselves always has more power. And when your pain is your power, responsibility is something that hurts but has a huge payoff. Keep your head up! I’ve had a good healthy dose of responsibility. It took a divorce to make my ex a better dad. That’s a tragedy, but after all the time that has passed, and everything that has happened since I wrote this post, I’ll take it. And, I am not, nor have I ever been ashamed about feeding my kids using whatever resources are available. If there is shame for this situation, it isn’t mine. I believe that was the year that my criminal defense lawyer ex went to Mexico… was it three times? Yes. I think it was three.